I hope you all had a great weekend! I wore this outfit over the weekend to dinner and it was absolutely perfect. 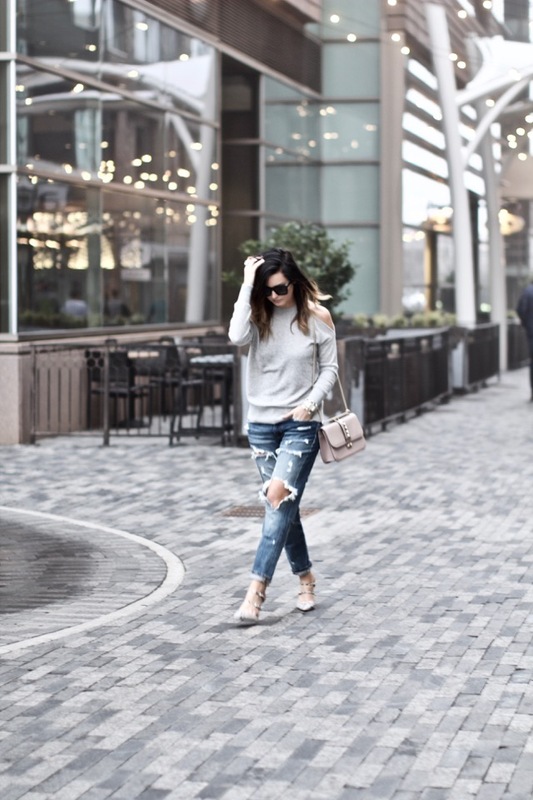 This sweater is so chic for any occasion + a great price! My best friend has been on the east coast now for 2 weeks now and I still haven't been able to see her! With our move and settling in to our new place, it just hasn't happened for us yet, but today, I'm SO excited to head to NC and see my McKenna Bleu. I haven't seen her in person (only on FaceTime) since October and it's been FAR too long!! Be sure to follow along on snapchat, @meganrunionmcr for BTS! 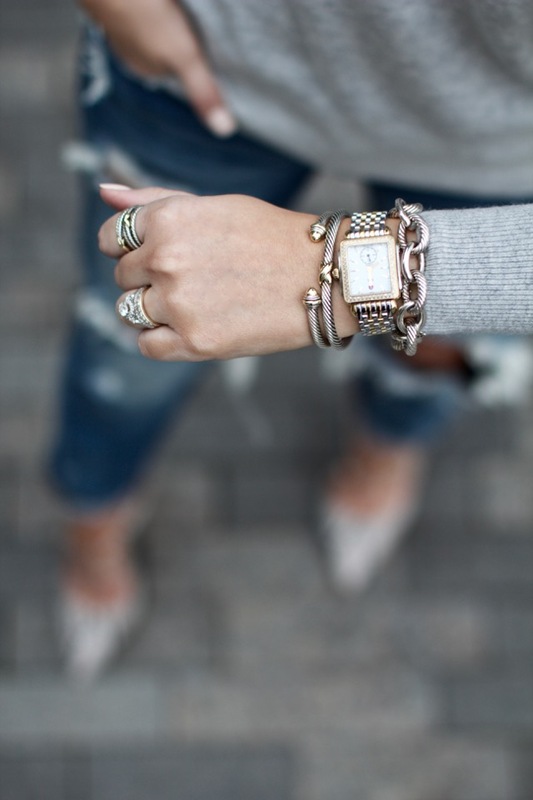 Rocking jeans and shoes, you're looking super cool in this casual outfit! 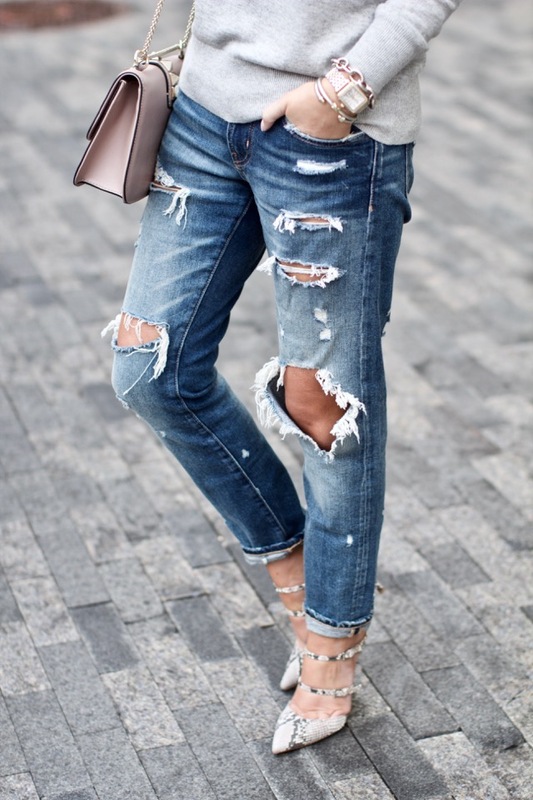 Love those super distressed jeans! And those heels are GORG! LOVE LOVE LOVE these jeans! Very chic, edgy and gorgeous! Obsessed with this look! Simple and yet beautiful!